 Pendarvis, along with all other Wisconsin Historical Society historic sites and museums, will offer free admission to active-duty military personnel and their families from Memorial Day through Labor Day as a part of the nationwide Blue Star Museums Initiative. The Blue Star Museums Initiative is a partnership between Blue Star Families, the National Endowment for the Arts, the Department of Defense and more than 2,000 museums across the country. It provides free admission to active-duty military identification holders and up to five immediate family members. For more information about eligibility and other questions, please view the Blue Star Museums Frequently Asked Questions page. Please note: Admission to events requiring advance registration is not included in the Blue Star Museums free admission program.